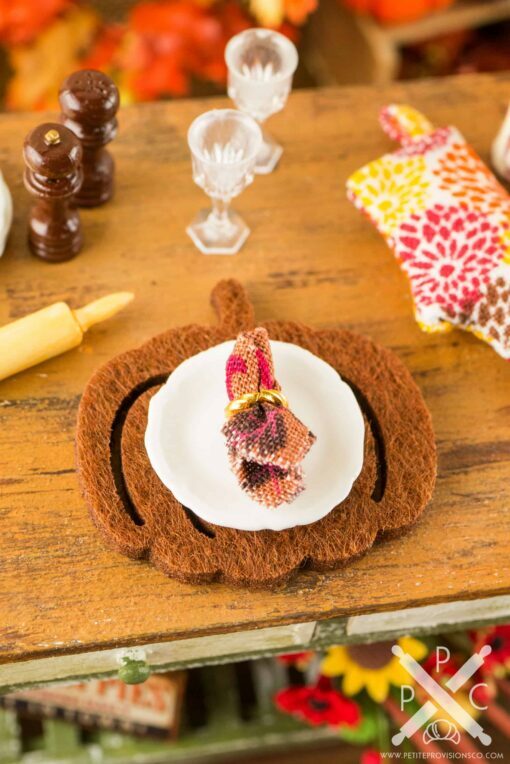 Dollhouse Miniature Brown Pumpkin Placemat and Cloth Napkin - Set of 4 - 1:12 Dollhouse Miniature - The Petite Provisions Co. Complete your autumn or Thanksgiving dollhouse tablescape with a set of four pumpkin placemats and cloth napkins with gold napkin rings! 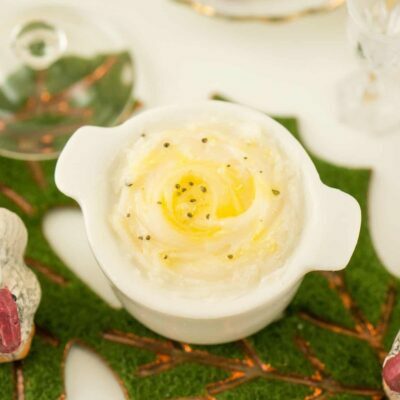 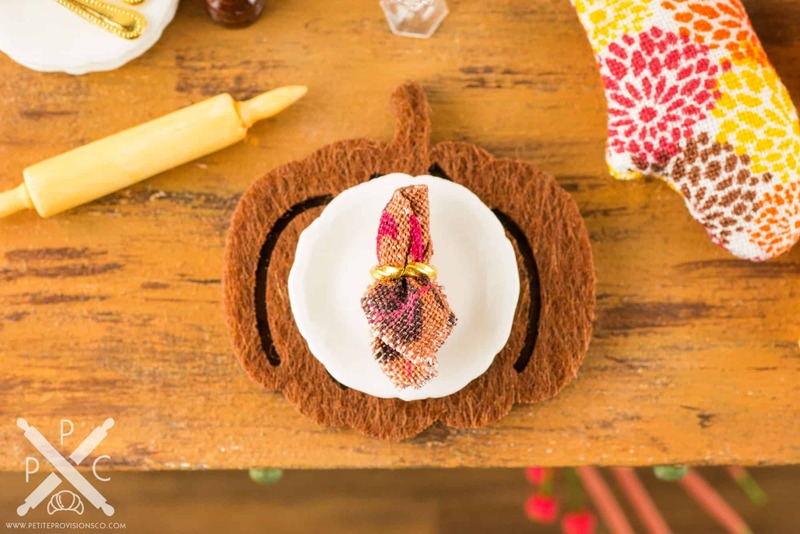 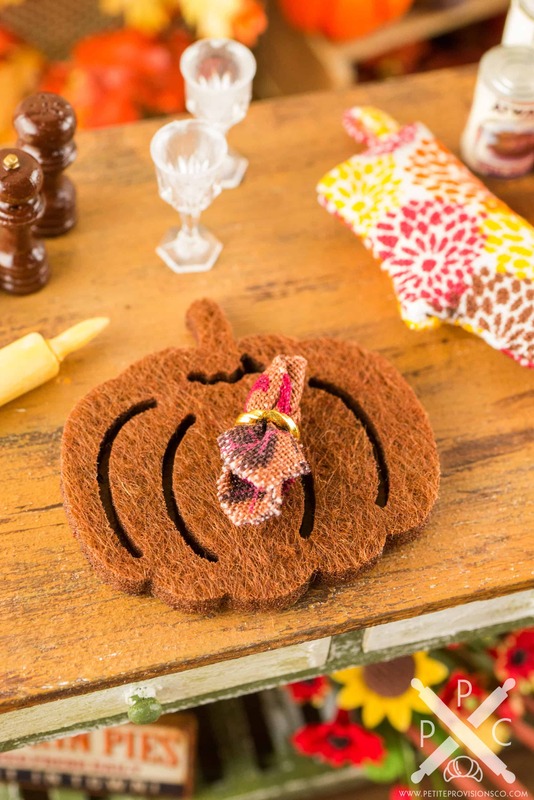 Whether you have a dollhouse or just love all things tiny, these wee pumpkin table settings are too cute to resist! 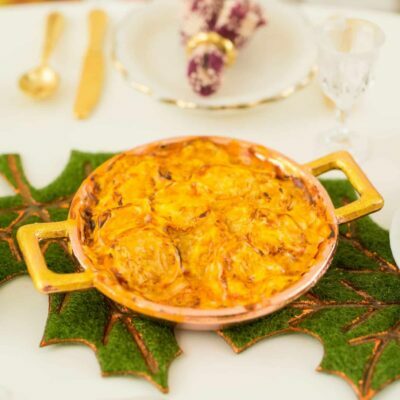 A set of four brown felt pumpkin placemats with cloth napkins in an autumn leaf pattern in gold twisted napkin rings. 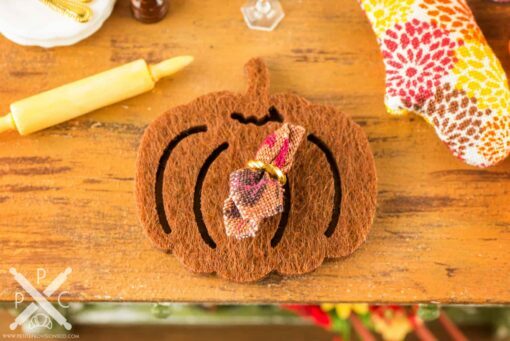 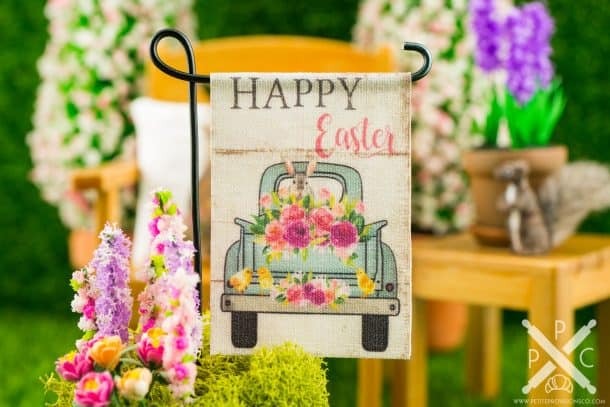 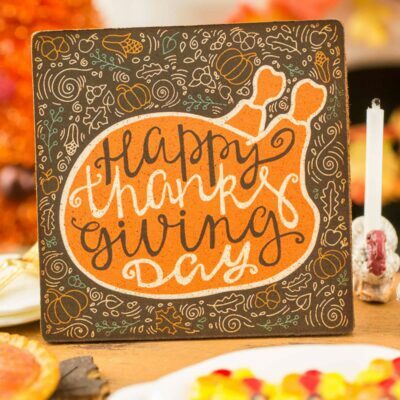 Pumpkin placemat measures about 1-5/16″ wide at the widest point and 1-5/16″ tall to the top of the stem.